Residents of Meadow Valley|! !| a 54-site resident-owned community in Unadilla|! 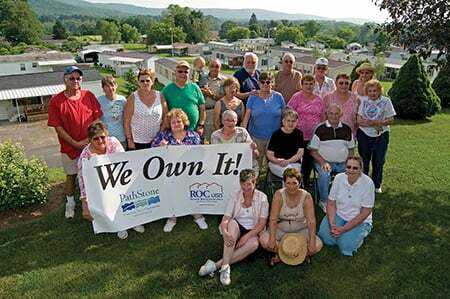 !| N.Y.
ROC USA, the nonprofit Concord-based national lender to resident-owned manufactured home communities, has secured millions in national institutional capital – what it calls a breakthrough in resident-owned community preservation. ROC USA Capital, National Cooperative Bank and MetLife insurance company have forged a $40 million financing partnership to structure a first-mortgage acquisition/permanent loan product to finance resident-owned manufactured home communities (ROCs) at scale. NCB and MetLife will each invest $15 million and ROC USA Capital $10 million over two years to finance ROCs in 20 states. ROC USA Capital has built a $100 million portfolio of first-mortgage community acquisition/permanent loans to 42 ROCs in 11 states since it was founded in 2008 through the NH Community Loan Fund, enabling more than 3,400 low- and moderate-income homeowners to buy, preserve and improve their neighborhoods. 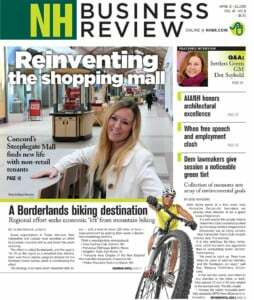 ROC USA Capital has carried out this work on a retail basis, partnering with 20 statewide and regional financial institutions to deliver this critical community acquisition/improvement financing. The partnership with NCB and MetLife opens the door for other national banks, insurance companies and pension funds to finance resident-owned communities, Sloss said. Paul Bradley, ROC USA’s president, called the agreement a key development in ROC USA LLC’s national strategy to implement its resident ownership model at scale, as national institutional investors have financed manufactured home community (MHC) acquisitions for years, committing close to $1 billion annually in the MHC sector. Bringing such institutional investors to the resident-ownership segment of the MHC sector will enable ROC USA Capital to grow and diversify its lending and set the stage for developing an active secondary market for ROC USA Capital’s loans.